The majority of children will develop a preference to use one hand over the other as they grow. They will soon be labeled as either right-handed or left-handed. Some may even be able to use both or either hands for certain tasks. This is known as being either ambidextrous or mixed-handed. Hand dominance is the preference for using one hand over the other to perform fine and gross motor tasks. This includes activities like writing, cutting, and catching and throwing a ball. The dominant hand is not really a choice because it is not a conscious decision that we make as children. Genetics and the individual's brain play a role in which will be the dominant hand. Parents should be cautioned about trying to switch their child from one dominant hand to another. You should also try not to worry if your child does not develop a hand preference by a certain age. Allow nature to take its course and talk to your child's teacher or doctor if you do have any concerns. When Does a Child Become Hand Dominant? Some children discover their dominant hand very early. You may notice your son or daughter using their right hand more often when they are as young as 7 or 9 months. This may not be permanent, though. The majority of the time, children begin to display permanent hand dominance at around 2-years-old. For some kids, it may not be until they reach the ages of four or six. 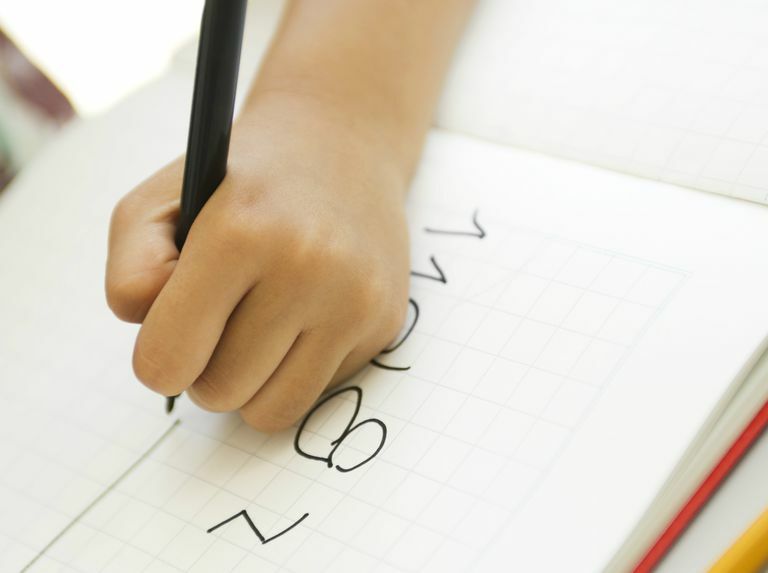 When children begin learning to write in school, their teacher may note that they have not yet chosen a dominant hand. Some never do and will be ambidextrous or mixed-handed. Fun Fact: In about 20 percent of identical twins, one will be left-handed and the other right-handed. Right-handed: People who prefer to use their right hand for the majority of tasks are right-handed (or righties). The majority of people are right-handed. Common tools like scissors, can openers, even notebooks are often designed for right-handed use. Left-handed: A small but growing segment of the population prefers to use their left hand for common tasks. Also called lefties, left-handed people may find certain tasks challenging because the tools needed are designed for the right-handed majority. Today, there are many left-handed options available for the most common tools. Mixed-handedness: Also called cross-dominance, a few people prefer to use either their right or left hand for one task and the opposite hand for another task. For example, a child who is mix-handed may write with their right hand and throw a ball with their left. Ambidextrous: Only about 1 percent of the population can use either hand for almost any task. They are known as ambidextrous (or ambis, for short). Though hand dominance means tasks are performed more efficiently by the dominant hand, the non-dominant hand also plays a significant role in completing tasks. This is known as bilateral coordination and is important in many important tasks. For instance, when you're typing on the computer, both hands are working together.